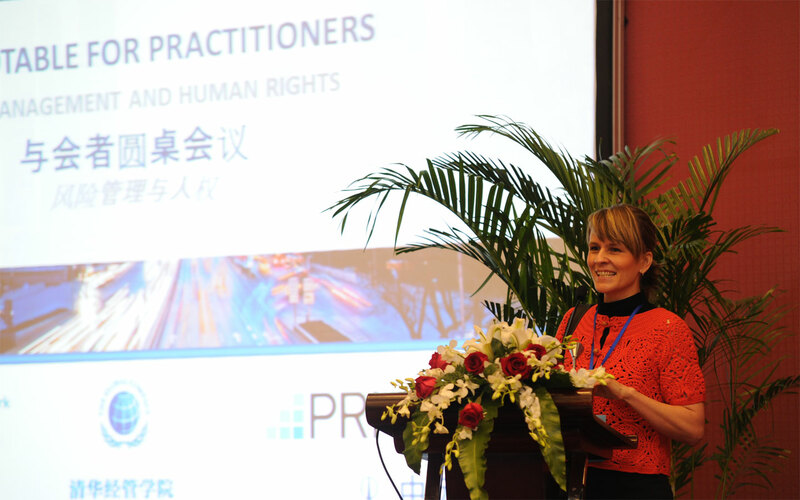 Tracktwo is regularly invited to give presentations and participate in expert panels related to sustainability, human rights and China. Contact us if you need an expert speaker in any of these areas, or if you need a moderator for your conference. Below is a list of some of our recent assignments. 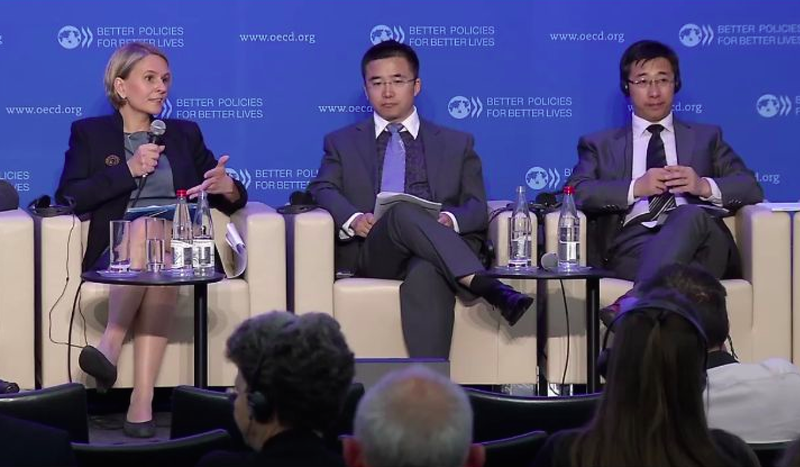 On June 18-19, Malin Oud participated in the OECD Global Forum on Responsible Business Conduct in Paris, and moderated a panel on China with Laurent Chevalier, Total (China) Investment Co. Ltd; Liang Xiaohui, China National Textile and Apparel Council; Sun Lihui, China Chamber of Commerce of Metals, Minerals and Chemicals Importers and Exporters; Emmanuel Freudenthal, Global Witness; and Felipe Palacios Sureda, European Commission. Watch the webcast of the panel here. 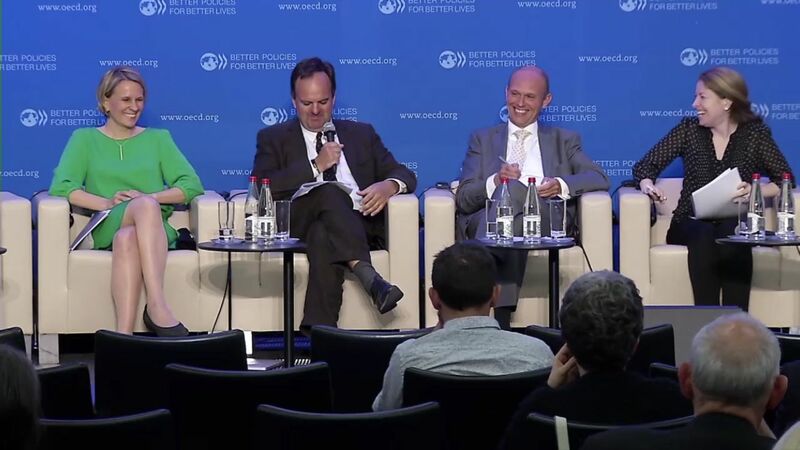 Malin also participated in the Closing Plenary of the Forum, together with John Morrison, Institute for Human Rights and Business; Roel Niewenkamp, OECD; Lisa Sachs, Columbia Center on Sustainable Investment; and Cristina Tébar Less, OECD. Watch the webcast of the Closing Plenary here. On December 2-4 2014, Tracktwo’s Managing Director Malin Oud joined two panels at at the 2014 UN Forum on Business and Human Rights in Geneva. The first panel, organised by Global Witness, discussed how Chinese government policy and corporate practice are evolving with respect to business and human rights. Presentations and more information about the panel here. The second panel was organised by the Asia-Europe Foundation (ASEF) and focused on regional implementation of the UN Guiding Principles on Business and Human Rights. More information about this session here. In October 2014, The Consulate General of Sweden in Shanghai, Business Sweden and The Swedish Chamber of Commerce in China arranged a breakfast workshop on Business and Human Rights for Swedish companies operating in China. John Morrison (The Institute of Human Rights and Business), Mark Hodge (The Global Business Initiative on Business and Human Rights), Leyla Ertur (H&M) Bengt E Johansson (Swedish CSR Ambassador) and Malin Oud (Tracktwo) gave presentations, followed by Q&A and discussion. Around 30 Swedish company representatives attended the workshop.